Sept 20th is a very special day for me, as it is the birthday of my father, my best friend. Twenty years after his passing, I sometimes panic that I am forgetting him. At times, it feels like it was just yesterday that he was with me and at other times I wonder if all my memories are just a faction of my imagination. His presence seems so distant and almost foreign and I forget the exact contours of his face, the warmth of his embrace and the sound of his voice. So, to hold on to the memories, I thought that I would do what he loved to do the most and what he always wanted me to do – which is, writing. As a homage to him, I want to give it a try to write something every week and post on “Lakshmi’s Lounge”. These are random thoughts, insights, experiences that I want to express. So, here is the beginning. My introduction to the concept of “perfume” was through Telugu novels, especially by queen of romance novels, Yaddanapudi Sulochana Rani. In all her books, when you enter a luxurious five star hotel, smells of “foreign” perfume floated in the air. Or when a very modern woman with short hair, chiffon saree and a sleeveless blouse appeared on the pages, she would be accompanied by the scent of “foreign” perfume. I grew up in a middle class family and none of the women in my home or the homes of my families in Hyderabad, Eluru, Guntur, Kakinada or even Mumbai, had any perfume bottles in their homes. Some of them smelt like naphthalene balls because they were kept along with the sarees to keep them from insects and some of them of camphor because of the amount of time they spent in their puja room offering camphor lit fire to the Gods. On summer evening, I learnt how to wrap a thread around my toe and hold in and make long garlands of jasmine. Those evening, my feet, my hand and my hair smelt like jasmine. When I walked past the rose garden my grandfather planted in our home, the scent of dark red, yellow and pink roses floated just the like the foreign perfume did in those fancy fictional hotels. My grand father in Eluru would massage his long moustache with a special perfumed oil and once in a while an Afghani attarwalla would come to someone’s home and open up the large box with small vials of attar. The bottle cap would unscrew to reveal a long, thin tube attached with the end tapering out into a flat area. You would dip the flat tip into the attar and dab a drop of it on the wrist and the smell stayed that way for days on end. Into my world, the ide of “foreign” perfume was exotic, exciting and it did not even occur to me that these perfumes could have names. Long after summer holidays in my aunts’ home gave way to going to IIT Mumbai and then to Jamnalal Bajaj, I came in touch with another “foreign” perfume and this time, it had a name and a story. 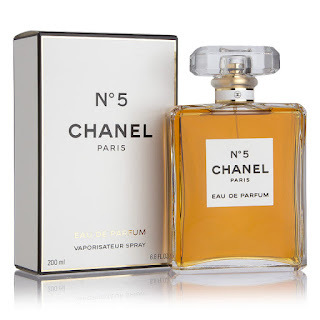 We did a case study about Chanel No.5. I do not remember the details of the case but the name and the luxury it has come to stayed with me. Later on, when I moved to US, I would walk the department stores spraying myself with sample perfumes. I would always walk past the Chanel No. 5 counter but something would stop me from spraying it on my wrist. Even when I could afford it, Chanel no.5 stayed somehow unattainable and elusive. I did not want to buy it for myself nor did I ever buy it as a gift to anyone else. And then a new perfume entered my life that made me forget Chanel No.5 altogether. Wait until next week to know the story of this new love.